When love is tangled up in magic, how do you know what's real? When Anna meets Seth, it's magic. But her hidden powers unleash a spell that sparks a war among witches and enslaves Seth's heart. Witches. I love them. Ever since I've watched Charmed, witches have managed to be the mythical creature for me. Naturally, when I read the title, I had high hopes. 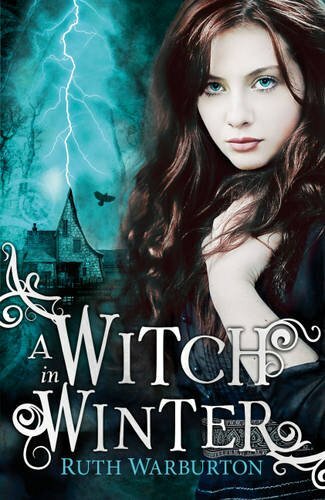 A Witch in Winter is set written by an English author, and set in England; I admit, despite being English myself, I haven't read quite a lot of English books. Well, not any in the YA genre. I got as further as Jacqueline Wilson and Cathy Cassidy. Anyways, getting back on topic, I could completely imagine the little town of Winter which Warburton's created. It's a mixture of all those holidays spent in Dorset and Bournemouth, all perfectly English. Then there's Anna Winterson, the main character. She seems quite realistic, because her attitudes towards normal teenage-related problems is, well... normal, like drinking. She's continuously unable to see any reason for why Seth would fall in love with her - and for good reason - too. This is because Anna bewitches Seth into falling in love by accident. After some desperate attempts to get rid of this spell, Seth still seems to 'love' her. So how is she supposed to know if he really loves her or not? Because she kind of does. I'd say I enjoyed the book. It's not one that I'll be reading again any time soon, and I'm not in a huge rush to read the second one in the series. Despite that being said, it's worth a read; if you're looking for a romantic, witch-ey, exciting read, this one's for you. 3/5 Stars - This book was enough to satisfy my bookish thoughts for a while. I liked it. "Remember what I said," he called, his voice ripped and torn by the winds. "Witch!"